Michele Wallace Campanelli is an American writer, singer and Florida celebrity. During the early 1990s, Michele was lead singer of the heavy metal band, Black Widow, which was one of the first all-female bands in Florida during the early 90s. After the band, Michele Wallace Campanelli started writing short stories and fiction novels professionally. She has had nine stories appearing on the best-sellers list, including two that reached #1 on the New York Times. Her short stories have been included in over 30 international selling anthologies. She has also penned numerous novels, magazine and newspaper articles in both fiction and non-fiction published by Simon & Schuster, Chronicle Books, Fireside Books, Fictionwise, Florida Today Newspaper, Woman’s World Magazine, Adamsmedia, McGraw-Hill, Multnomah Books, Red Rock Press, HCI and America House Publishing. Over 57 million people have read her written works internationally. In 1998, Michele wed Louis V. Campanelli III at St. Mark’s UMC in Indialantic, Florida. She currently lives in Brevard with her husband and their dog, Champ. When Michele isn’t writing, she is CEO of Regal Entertainment Services LLC which performs concerts around Florida. She is a professional singer, writer and actor. 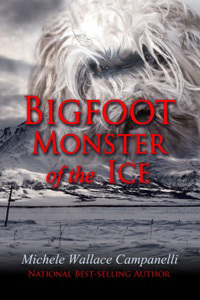 Her latest novel, Bigfoot Monster of the Ice, was released in March 2012 and is now available on www.Goodreads.com. What a thriller for Young Adults and Adults alike for $3.99! 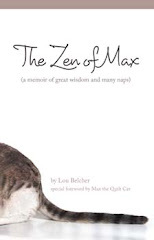 The ebook begins with an introduction to the main character, Adam Reese. Frantic about his missing wife, Adam travels to a small island off the coast of Canada with their thirteen year old son, Sean. There the two learn that a major new animal discovery was made while Mary was filming a documentary on polar bears for Planet X. Now members of that film crew are disappearing, one by one. Is it because the documentary is now worth millions? Not any amount of money or new animal discovery drives Adam on. Adam won’t give up finding the love of his life, Mary, especially for the sake of their son. Somehow, Adam must rescue Mary from the fanged creature that has snatched her out of the cold, freezing snow. He must save her from the white-haired Bigfoot, the Yeti…the monster of the ice. Michele’s latest novel is suspenseful, a thrill ride that keeps the reader on the edge of their seat from the very first page until the very surprise ending. How can i get a paper copy???!! should so interesting.